Thursday's press program began with a morning briefing entitled "Stars by the Bunch." 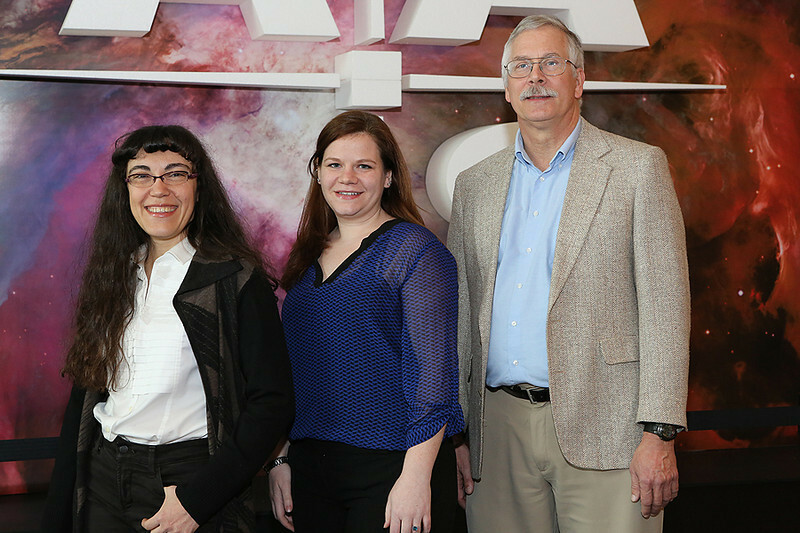 Elena Sabbi (Space Telescope Science Institute) presented results from the Hubble Tarantula Treasury Project, Lauren Palladino (Vanderbilt University) described an unexpected population of Sun-like hypervelocity stars, and Brad Whitmore (Space Telescope Science Institute) unveiled a new citizen-science project to age date star clusters. AAS photo © 2014 Joson Images.